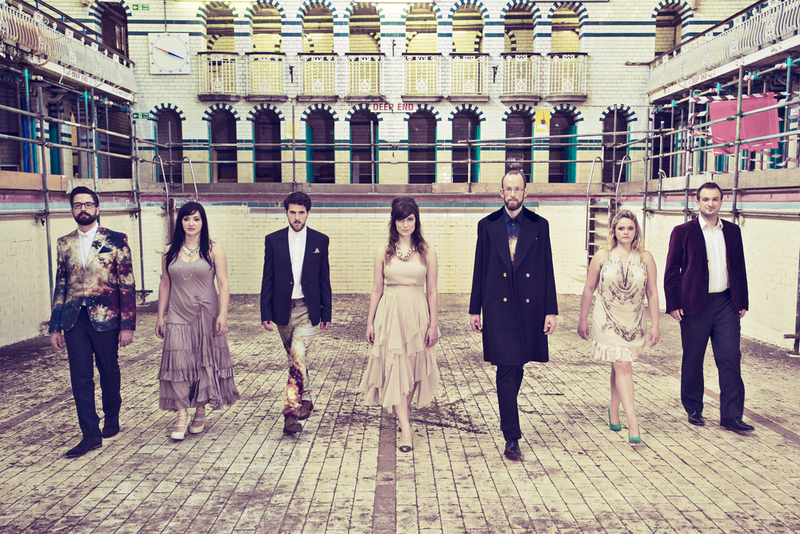 The Swingles as a music entity has travelled a long way since Ward Swingle founded the Swingle Singers. In its early days his London-based version of the ensemble featured classically trained singers who went on to have varied careers (Catherine Bott is one such alumnus). 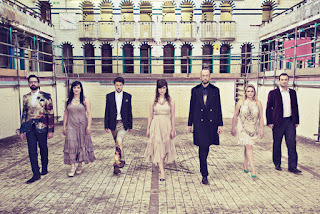 The current style of the group (Joanna Goldsmith-Eteson, Sara Brimer, Clare Wheeler, Oliver Griffiths, Christopher Jay, Kevin Fox, Edward Randell) is somewhat different to the original but fine music making, good training and classical background are still a feature. 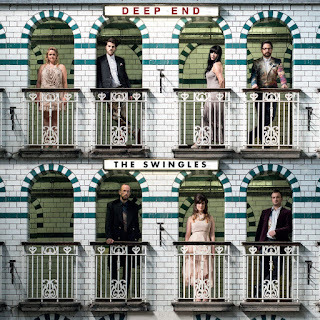 This disc, Deep End appeals partly because one of the tracks features the voice of founder Ward Swingle. It was always intended that he feature on the disc but his death before production meant that an existing recording of his voice was used and the disc becomes something of a memorial. Swim is an attractive rather ambient feeling number by Swingle member Edward Randell, where airy, lyrical vocals are complimented by electronica. Narnia, co-written by three Swingles Joanna Goldsmith-Eteson, Sara Brimer, Oliver Griffiths, uses some rather African sounding rhythms to underpin what is essentially a catchy song in a rather attractively elaborate arrangement. La cathedral engloutie is, not unnaturally based (loosely) on Debussy's prelude. It not only features spoken word by Ward Swingle but John Taylor on piano. It starts with Taylor's jazz piano, a long way from Debussy, and then the Swingles wordless version of the Debussy forms a backdrop to Ward Swingle talking of his musical background and influences. It sounds an indigestible mix but is in fact rather moving. CLYM (Couldn't Love You More) is a lovely R&B style number which features solos from Edward Randall and guest artist Jo Hamilton, along with some Swingle style background vocal atmospherics. Edward Randall's Burden is a happy sing-along number with a whole host of contributors on drums, bass, guitars, wurlitzer plus the RAF High Wycombe Ladies Choir and Chantage! In Piper by Swingles Clare Wheeler, Oliver Griffiths and Edward Randell the African style rhythms return to underpin another catchy song with some imaginative arrangements (and those atmospheric vocals in the background). After the Storm with a solo by Oliver Griffiths is much closer to the close-microphone a cappella work for which many of us remember the original group. It is a nicely judged contemporary take on an old favourite style. Billie Holiday's Don't Explain features a prominent drum part from Matt Tovey and some lovely vocal atmospherics AND the voice of Billie Holiday (presumably on the basis that no-one can sing the part better than she). Again, it sounds indigestible when written down, but works. Joanna Goldsmith-Etesons Wonderland features an attractive solo from Joanna, along with some highly sophisticated vocal backing and quite an elaborate rhythmic underpinning. Finally Two Sisters uses lyrics which are adapted from a traditional song but here applied to a piece of Bach. Slightly curious, but well done. I have to confess that I enjoyed this disc rather more than I anticipated. The combination of musicality, versatility and imagination have gone to create a series of rather seductive tracks which may veer towards 'Easy listening' but rather more intellectually stimulating than that.